So I'm going back and forth. Enclosed or open. Really want to stick with a 6x12 because the price jumps significantly when going to a 7'. I know the machine will fit in the enclosed, but can you physically get in and out of the seat without doing it, "Duke's of Hazard" style ? I have been also looking but everything I've heard is you will need to winch it in and there is no more for anything else. I have always heard if you think you need a certain size trailer,tractor whatever go 2 sizes bigger. Dean and mtgott like this. If I could add anything, besides going with a bigger trailer, you have to look at the positives that an enclosed trailer gives you. First, forget the cost. If you don't spend your hard earned money there, you'll spend it somewhere else, and probably have nothing to show for it. An enclosed trailer keeps prying eyes, and hands off your stuff. Not just your SXS, but tools, compressor, gas cans, gear, tie downs, etc. When you go for a ride, all that stuff on an open trailer is just sitting there. Now I would like to think that most off-roaders are honest, but then again.... Weather, your SXS will be safe from the elements. If you go on a trip, and the wind starts howling at 40 - 50 miles an hour, your car is inside, not getting air blasted with debris. Same with you, an enclosed trailer can guard you from the elements, and you can also bed down for the night if needed. 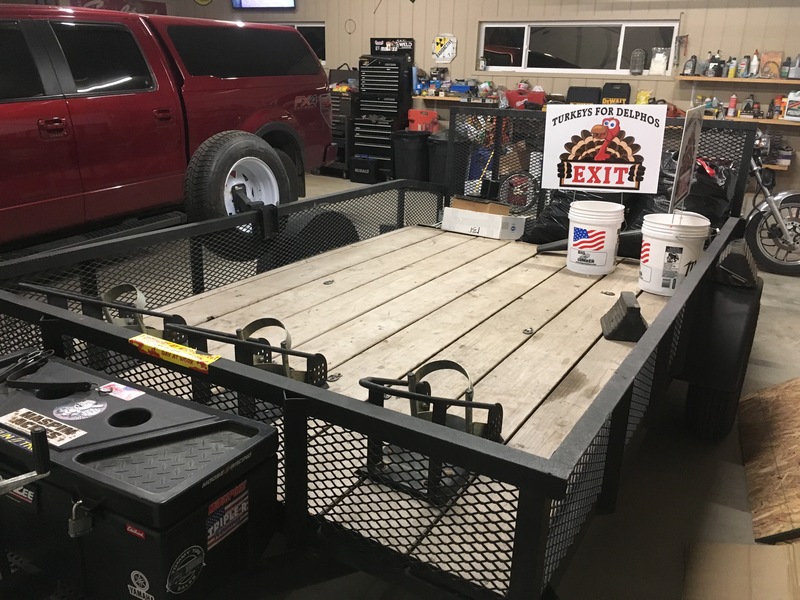 If you go the enclosed trailer route, as stated get bigger than you think you need, but the one you do get, make sure has at least one, preferable two roof vents. That way the gas vapors can vent out, just incase you do need to sleep in it. Dean, dspete05 and mtgott like this. As for open vs enclosed, I would go enclosed if you can. Enclosed wasn't in the cards for me so I have an open trailer. There's not really many benefits to it other than it's easy to clean off if I put muddy machines on it. Other than that the exposed wood needs more maintenance, I can't sleep in it, and anything loaded on it is exposed to the weather. 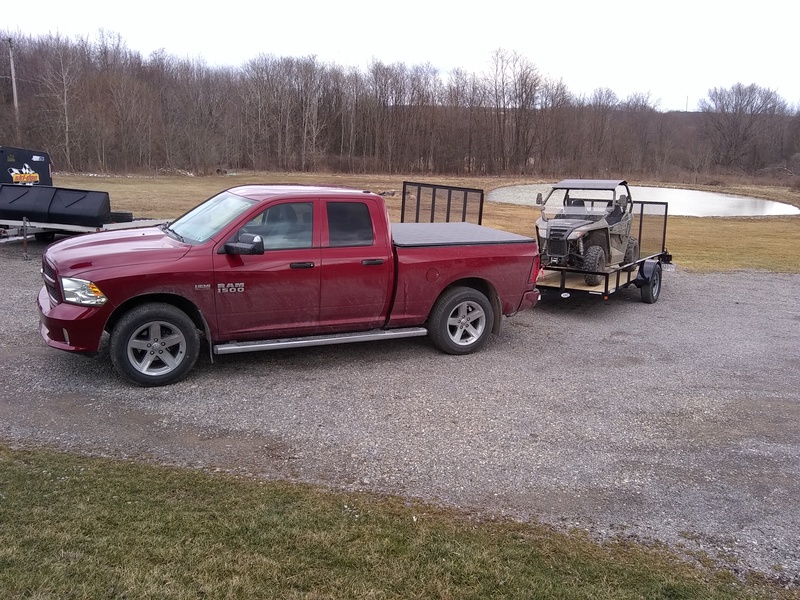 It would be nice to have an enclosed trailer that I could throw some extra stuff in to get it out of my garage and have some extra room to lock stuff up while camping. It is nice if I need to haul boards longer than 18 ft as I can take the tail gate off and go a bit longer, but that's about it. If you don't really have a need for this, go enclosed. Sorry, I can't help you with size but if it's like a gun safe, definitely go as big as you can afford. It would be much better to save a little longer and get something you'll keep longer than to upgrade later on. I purchased a 6.5x12 open and it fits a trail pretty much perfectly. Not a ton of room for anything else but it was what was available and the right price. Could stuff some gear on the sides and in front/back of the machine but no way you'll get a dirt bike or anything else on there. If it was enclosed it would be a major pain to get in and out of the machine when loading/unloading. At 6' I dunno if you could. Here is a picture, sorry the angle isn't the greatest, but it will give you an idea of what you'll be looking at. Thanks for the info about the vents Hollywood. That makes alot of sense. In the long run, and with less aggravation, might as well get a toy hauler if you want all those creature comforts. I went from a nice enclosed to an open trailer. The enclosed was a pain to store and with my 35' M/H in front of the 24' enclosed I was pretty long which was tricky in some of the spots we camped. 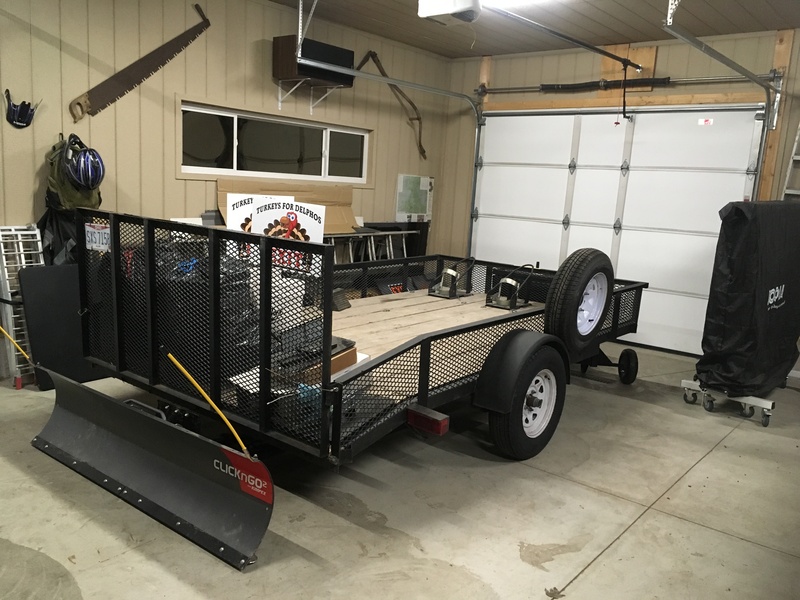 What I have now is a small single axle trailer with expanded metal floor that makes it super easy for cleaning the machine and if I don't want to unload I can just back the trailer into the garage with the machine on it. 2014 Wildcat Trail with a few bolt ons, 2009 Rhino 700 with a few bolt ons, 1987 Buick Grand National with a few bolt ons. Some more brain fodder if the outside width of the trailer matches the tow vehicle it sure makes it easier to back as you can see what it is doing..
Last edited by Black Cat; 04-11-2019 at 06:31 PM. Not really. Most toy hauler manufacturers have a " lite series" made especially for 1/2 tons. I usually recommend the Genesis line. Those trailers are over the top! I'm not sure if they have a lite series, but I know they have bumper pulls. I have both open and enclosed 6’ x 10’ trailers for my trail. I had the enclosed trailer before buying trail to haul a trike behind my motor home. It’s a tight fit in the enclosed trailer, all I do is a modified nascar to get in and out. Crack the door, stand up and slide out. An extra foot of width would be nice, but this works. The open trailer is a ton easier.